Moto Racing 2 Burning Asphalt : Start your engine and get ready for an adrenaline fueled trip. 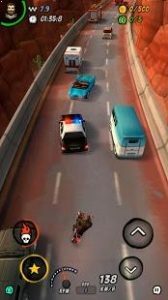 Explore different routes and explosive obstacles. Rev up and accelerate to the end, completing all the objectives in each level. Nice graphics. Could use an option for auto acceleration.